I went back to the dentist today to have my old filling redone. When I was there last week, he gave me the impression that it was only a small job, so I confidently booked it for first thing this morning, and told my colleagues I'd be a little late for work. I'm not saying I was misled, but frankly Time Team have done smaller excavations. At one point he had half a Meccano set in my mouth, and I thought the drill was about to come out of my ear. It was like Journey to the Centre of the Earth, but with more danger. I don't know how much anaesthetic he gave me, but it didn't wear off until 4pm. I spent the entire morning looking like a stroke victim, and talking like the less coherent brother of John Merrick. I had to ask my supervisor to phone one of the drug companies for me in case they couldn't understand a word I said. And as for trying to drink a cup of tea, it was a choice between using a straw or lapping it like a dog. 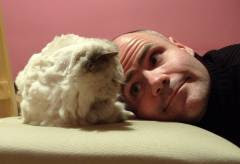 Worst of all, I couldn't even attempt a freshly baked flapjack until three-thirty. It was a complete nightmare. 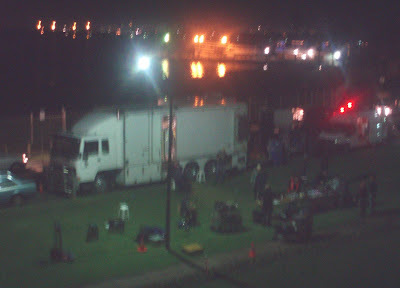 Apparently three giant movie-set trucks arrived the other night, complete with lights, cameras, film crew and, most importantly, caterers, to film a promo for the Australian lottery. Bearing in mind that Sis lives next door to the kind of people who'll happily evict you for having a birthday, it's a miracle there wasn't some kind of riot. As Sis said herself, "I'm surprised my neighbours aren't all out there fighting them away with sticks". Anyway, Sis claims the point of the advert is to show people where they could be living if they hit the jackpot. Either that or the slums they could be leaving behind.